Ferrari "Dino" in the making? It looks like Ferrari is developing a 458 based car, with maybe a de-tuned V8 (oh, please be de-tuned) or a V6 engine (shudders)? Also, different hip holes. Autoblog calls it the next Dino and I can see why they speculate the car may have a V6. 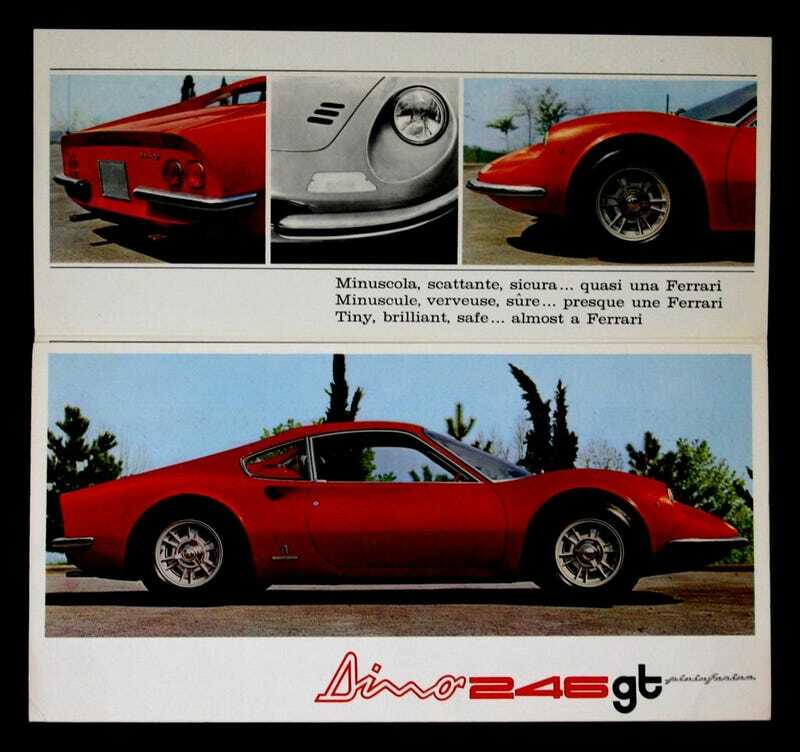 Alfredo Ferrari aka Alfredino aka Dino - jeez that was an unexpected train of thought to follow to reach that nickname (thanks Google) - his pet project had a V8 (typo) V6 when all Ferraris were V12s. This was the original Dino. So a step down from mostly V8 Ferraris to a V6 one would be what today’s Dino might have. This will also give Ferrari an opportunity to sell a slightly cheaper car and expand its consumer base; as the higher ups rub their palms in glee, while making preparations for their IPO to roll out. Now, its also entirely possible that Ferrari will surprise us with a completely new body and a fresh design. That would be amazing. But I’m willing to bet that the final body might be quite similar to the 458. Or at least, still based on the 458 monocoque, with the same transmission, interior design, etc. I also predict a feature that’s sure to excite new buyers. The car will come with a Microchip Lotteria TM (or lottery microchip. Available in different colors, leather and CF).